Brandon was born in San Francisco and raised in Hanford. He is the son of Irvin Wong who has owned his tile business for over 40 years. Brandon learned his trade from the only Tile Contractor in town 30 years ago, his father. Brandon has an extremely high percentage of repeat clientele. In addition, Wong's Custom Tile also has a superb referral system. Wong's Custom Tile has been a member of the Better Business Bureau for the past 4 years. Brandon also stays current on changing techniques and procedures by his continuing education courses on all new products in his trade to better serve you. Brandon met his wife Jacqueline Gerber-Wong in 2003. 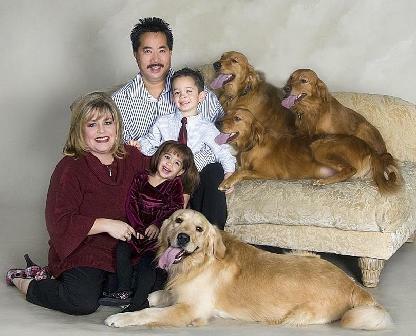 They have two children, Brandon Wong II in 2004, and then a year later Kayli Ann-Jodi Wong in 2005. The family resides in Hanford.